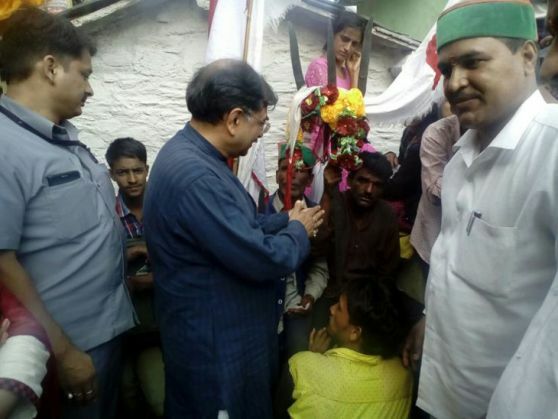 The Silgur devta temple in Uttarakhand's Pokhri village will reportedly conduct a 'long purification ritual of nine days' after it witnessed unruly scenes on 20 May after Rajya Sabha MP and BJP leader Tarun Vijay entered the premises, along with Dalits. According to a Huffington Post report, the temple officials believe that they need to conduct purifying rituals as the temple had been "desecrated by the entry of Dalits". Fearing for their lives, many Dalits in the area have started fleeing from their homes, apprehensive about a backlash from the upper-caste members of the village. Almost 100 villagers went to the Doon hospital on 22 May, where their leader, Daulat Kunwar, is admitted in the ICU. The villagers said they will not return to their area till they get a written assurance from the state home minister, Pritam Singh, about their safety. A group of Dalits also burnt Singh's effigy in the Doon hospital premises. While a probe has been ordered on the incident, human rights activists say they are not convinced it will be a "fair one".